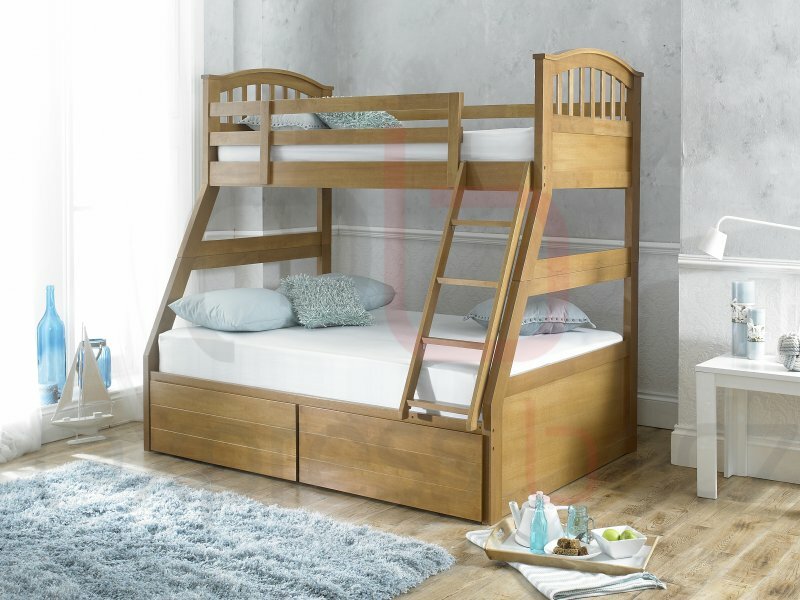 The Oak Three Sleeper is an innovative new addition to our extensive range. The roomy bottom bunk is big enough to sleep two children or an adult in comfort. This bed is the perfect solution if you have three people and don’t want to fill the room with more than one bed. 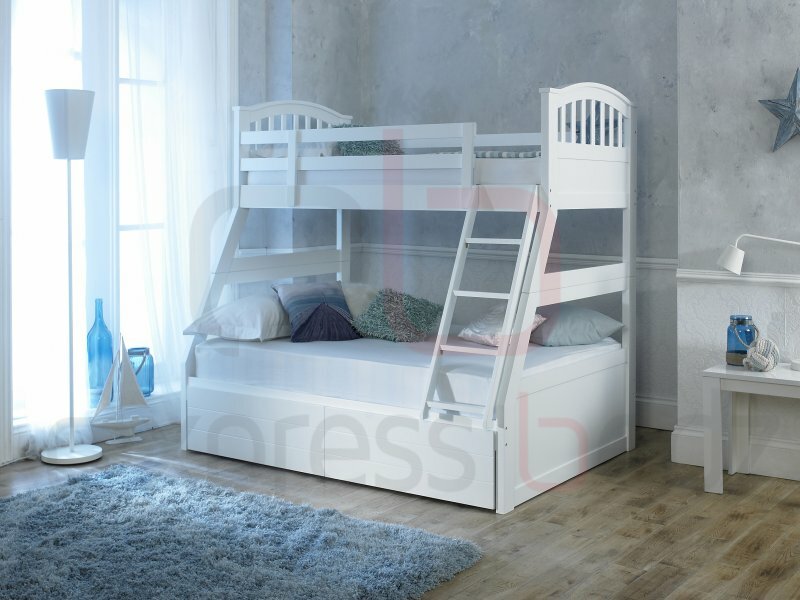 If you have a large family, frequent guests or a child that wants a bit more sleeping space on the bottom bunk, then this bed is for you. The Oak Three Sleeper will provide comfort and support through the night. This bunk bed has been solidly built and has a sturdy rail around the top bunk for your child’s safety. Finished in maple with a smooth contemporary design, this bed will bring a touch of class to any room. The Oak Three Sleeper comes with two roll under drawers, a great storage space to complement this practical and affordable bed. This bed is available either with or without mattresses. The Three Sleeper has a health and safety issue which only allows two types of mattresses. These mattresses are speficly designed for childrens beds, therefore we would advise you to purchase a shallow mattress. These mattresses are 6 – 8 inches thick, and anything over will be a hazard.